Old First Presbyterian Church Sanctuary Choir singing Cantata, "Footprints In The Sand." Let us make a joyful noise to him with songs of praise!" 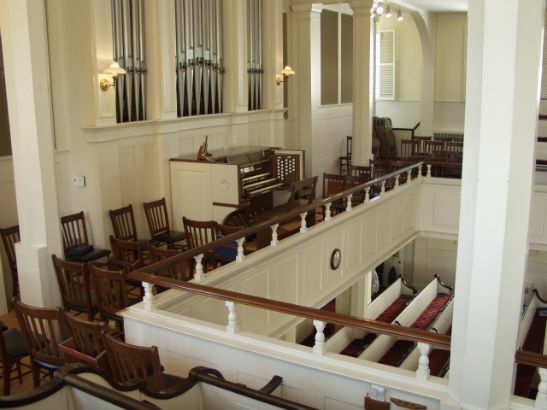 Old First Church is blessed with one of the premier music programs on Long Island. 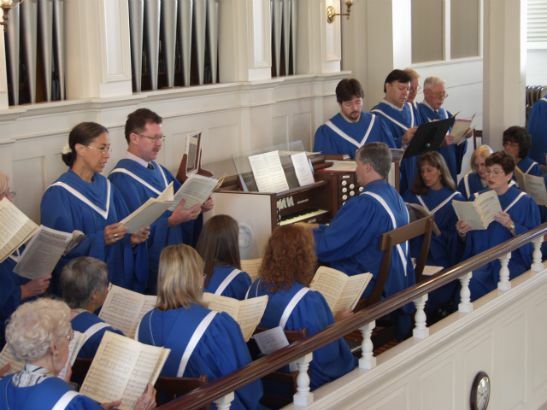 Director of music and well known organist Ken Friese and certified music educator and performer Diane Starost, lead the choirs of the church that continue to grow. Various styles of music from the traditional to the contemporary are part of our services. These are opportunities to join the Sanctuary, Youth or Kids Choirs. Instrumentalists are welcome too! Come join our exciting music ministry! 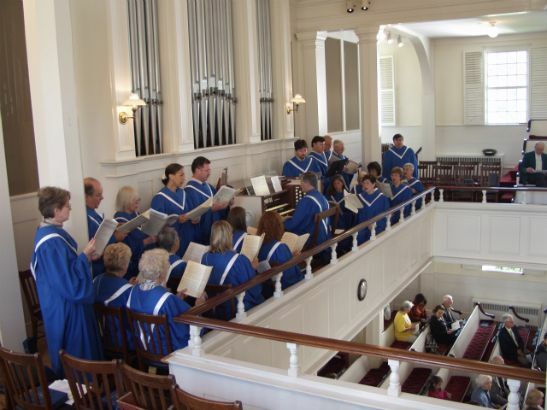 The Sanctuary Choir is open to all singers from High School (age 9th grade +) and older. This talented and hard-working group of singers are volunteers, preparing anthems for Sunday services and for special services throughout the year. They perform in a wide range of musical styles, and from time to time will prepare a cantata for Christmas or Easter and occasionally present a Broadway or talent show. The attendance policy allows for members to have freedom for family and special events. Rehearsals are Thursday evenings from 8-9:30 PM in the choir room. Children meet once a week on Wednesdays from 5 – 5:30 pm in the choir room. 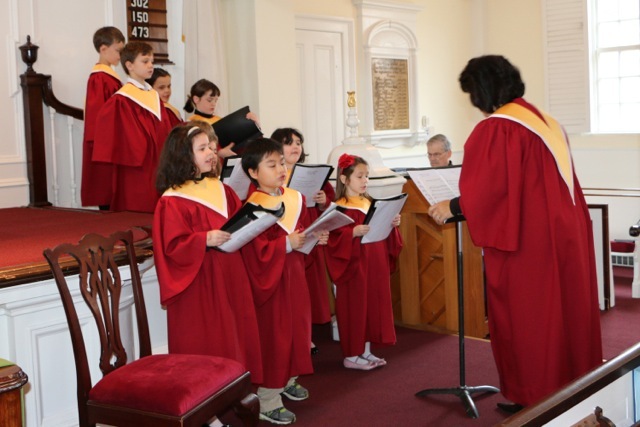 The Kids Choir program encompasses your child's first choral experience such as choir behavior, posture, responsibilities, beginning vocal production, ear training and basic music reading. Teaching styles are varied for each learner and music chosen is appropriate for grade level success. Children meet once a week on Wednesdays from 5:30 – 6:00 pm in the choir room. Many students are involved in multiple school activities as well as choir. 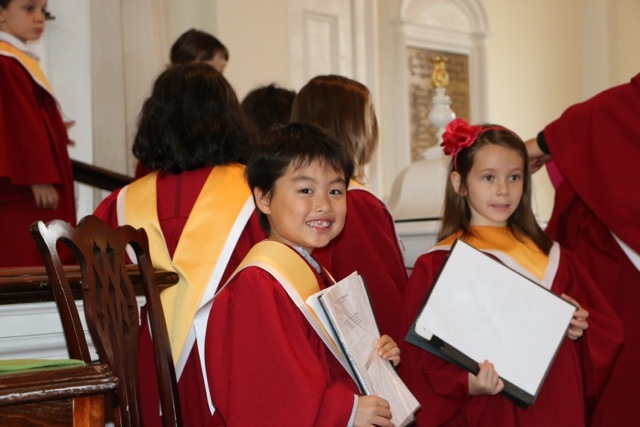 The Youth Choir continues your child's choral experience at an advanced level focusing on basic technique as well as furthering vocal abilities, music reading, ear training and part singing. Children are welcome to participate in the service by performing a solo or duet; with the choir, or use music skills to play a handbell! Rehearsal time would be on an as need basis. We welcome all children to take part in the many opportunities the music ministry has to offer. 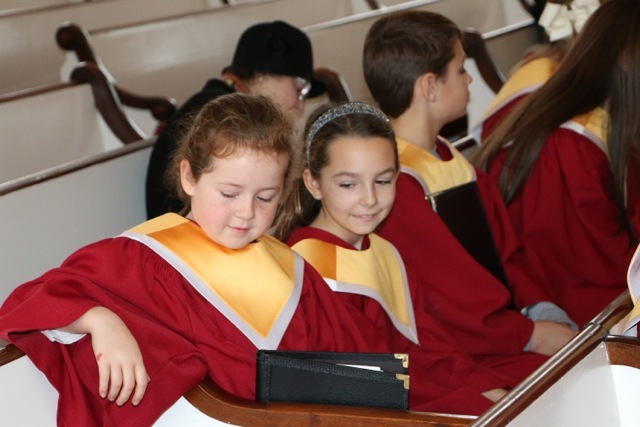 Best of all, we all share in the joy and enthusiasm our children bring to our Worship Service. 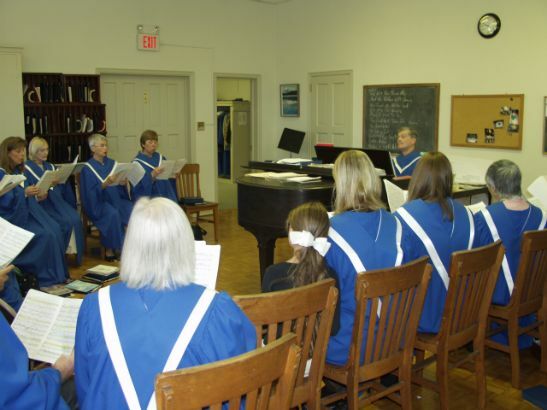 If you would like to join any of our music programs please see Ken Friese or Diane Starost or contact: music@oldfirstchurchhuntington.org.